Sharon Estroff lives her brand. 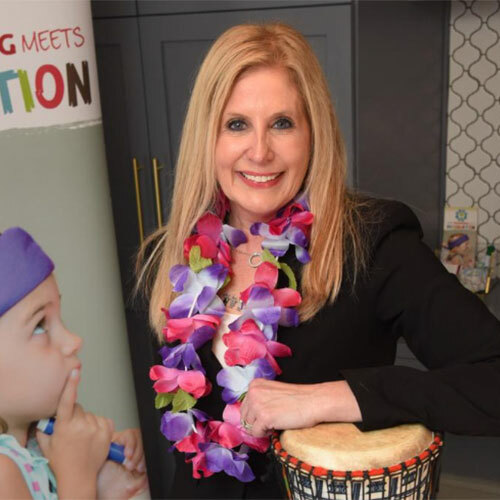 As the mastermind of Challenge Island®, she describes her unique franchise with the same playful enthusiasm that sparked her to start the innovative business in 2002. Estroff never intended to launch a leading franchise system with more than 90 locations worldwide. The growth and success of Challenge Island is a byproduct of her desire to make a difference—and she has. A former teacher, Estroff created Challenge Island as an after-school program to get kids excited about learning. Inspired by her favorite reality TV show, she designed a curriculum that was fun and engaging, but at the same time helps kids develop important life skills such as collaboration, compromise, resilience, and critical thinking. “We turn the classroom into an island, divide students into tribes, and create challenges. Kids don’t realize they are learning. They are having too much fun,” she says. Estroff and her team create and constantly add to the curriculum, which incorporates science, technology, engineering, art, and math (STEAM). “We have a blast coming up with new challenges,” Estroff says. Cross-curricular Island themes include Cool Carreers which is made up of whimsical engineering destinations like City Planner Speedway, Marine Biologist Bay, and Pet Emergency Room. The summer camp curriculum includes kid-approved themes such as Slime Squad Camp and Island Tube Camp. Franchisees can customize their offerings by using the hundreds of themed lessons to run after-school enrichment classes, camps, birthday parties, scouting events, and even senior programs. “Our franchisees have a lot of creative freedom, which is something you don’t get in most franchise systems,” Estroff says. While the brand attracts former teachers and corporate moms, you don’t necessarily need to be a parent or have a teaching degree to run this business. “Our owners come from a variety of backgrounds: former investment bankers, lawyers, marketing executives and everything in between. They all share a passion for working with children and a desire to make a difference as well as an income,” says Estroff. For more information, contact (985) 209-8430 or franchising@challenge-island.com. 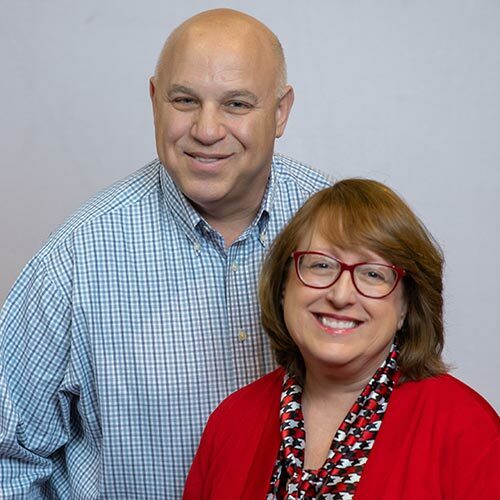 Stephanie Basile-Drileck and her husband Chuck did their due diligence before finally investing in a FASTSIGNS® business. The San Antonio couple looked at opportunities in every area of franchising—from food to fitness—and then weighed the pros and cons to each industry. Finally, they decided that drawing on their advertising and marketing backgrounds was the way to go. Besides wanting to invest in a solid business, another must-have for the Drilecks was a franchise that let them contribute to their community. “We get to do that with FASTSIGNS. We never turn down an opportunity to help people,” Stephanie says. They work regularly with the Petco Foundation and the Fisher House, providing signage for events and helping raise money. “It feels good to give back,” she adds. The Drilecks love that they can customize the business to their market and to their strengths as business owners. “We can add on services as we wish, but don’t have to offer everything FASTSIGNS produces,” Chuck says. “We are able to scale the business at our own pace.” In fact, the Drilecks plan to open another location and will bring their daughter on board to help. 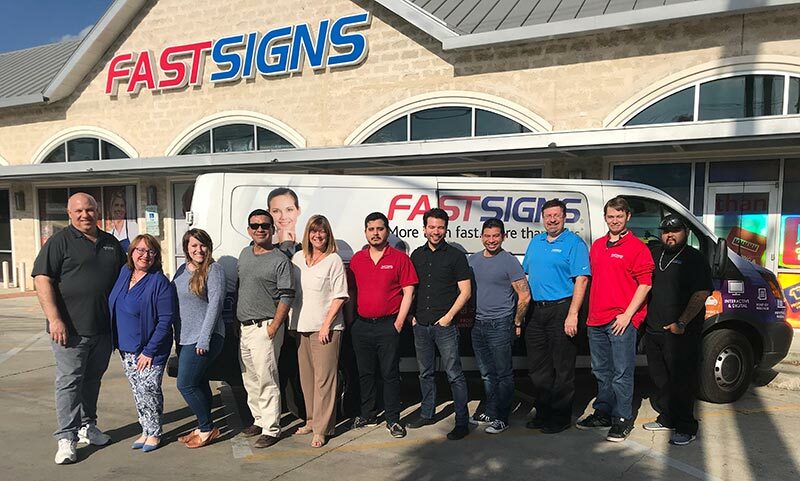 The Drilecks are thrilled with their decision to go with FASTSIGNS. “We get great joy from what we’re doing now. I only wish we had done this 20 years ago,” Chuck says. For more information, visit www.fastsigns.com or call 214-346-5679. 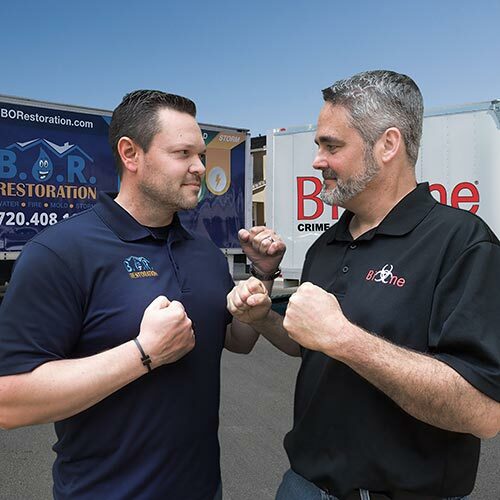 You might think that owning two home-service franchise brands would be a conflict of interest, but for Nick Zamucen, it made good business sense. In fact, Zamucen launched Best Option Restoration (B.O.R.) as a complement to his first franchise offering, Bio-One, a biohazard and decontamination service. “After getting repeated inquiries for restoration services, I decided to explore the options and saw an opportunity. There’s a lot of synergy between the two businesses. It just made sense,” he says. While Bio-One provides cleanup services for hoarding and in response to events like murders and suicides, B.O.R. helps customers who are victims of water and fire damage. “Both companies offer different specialty services, but both are in the business of helping people in a time of need,” Zamucen says. Zamucen hired Jason O’Brien as CEO to run Bio-One so he could focus on B.O.R. “Jason started out as a franchise consultant who knew my brand inside out. It was a perfect fit. Now we have a healthy rivalry, which really isn’t a rivalry at all. I wanted to hire someone who was as passionate and motivated as I was to take over. Someone who could beat me at my own business,” Zamucen jokes. Investors can start with either brand and have the option to add the other at a reduced fee when they are ready. “For franchisees, adding on is a great way to keep staff busy steadily and have backup support when needed. You just never know when a disaster is going to strike,” Zamucen says. “You can’t predict it, but the model solves that problem.” Working together as two separate companies allows for shared leads, cross-training of employees, and cross-marketing. “It’s a win-win,” he says. Franchisees don’t require any restoration background but should be passionate about helping others and have a desire to make a difference while building a business. 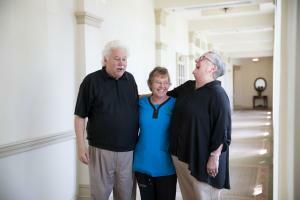 “Find me a person who wants to be successful, and we can teach them the rest,” Zamucen says. For more information, visit www.BORestoration.com or call 720-204-2095. NEW YORK — TITLE Boxing Club, the nation’s leading boutique boxing fitness franchise with more than 190 clubs open across the United States, announced today it has sold the franchise rights for all of Manhattan to Michael Tosto, current multi-unit franchisee. Tosto owns three locations in Manhattan and will more than double the boxing franchise’s presence on the island with his new deal. Tosto opened his first location in Midtown West in June 2014. When he wasn’t teaching a class or training his staff, he was searching for his next club’s location. In May 2017, he opened TITLE Boxing Club’s second Manhattan location in Midtown East. Once both of those were extremely successful and he had a proof of concept to show landlords, he opened his third club in the Flatiron District in January 2019. In fact, two of Tosto’s three locations don gold and platinum bags, which are earned by hitting revenue milestones each year. His Midtown West club has four gold bags (2015-2018) and two platinum bags (2016-17), while the Midtown East club received a gold bag for its accomplishments in 2018. As part of his newly-signed deal for the entire island, Tosto is currently looking for his next club location in Upper East Side, Upper West Side NoHo, SoHo and the Financial District. With the global fitness and health club industry generating more than $80 billion in the United States annually, the entire East Coast remains hot for TITLE Boxing Club to continue its domestic expansion. The brand is looking for franchise partners particularly in other New York boroughs like Brooklyn and The Bronx, Long Island, south to Newark, NJ and its surrounding areas, and into Pennsylvania, strategically targeting Pittsburgh and Philadelphia. Momentum has largely been driven by the brand’s premium offerings of explosive, total-body boxing and kickboxing classes that energize, strengthen and challenge members. Specifically, the franchise is anticipating five additional locations in Pittsburgh, 12 in Philadelphia, 10 more in New York and 10 throughout New Jersey. Boresow said the brand’s franchise model provides entrepreneurs with tactical site selection, marketing, operations, as well as strong leadership support. She noted the franchise is ideal for entrepreneurs similar to Tosto – those passionate about health and fitness who have leadership experience and a desire to be an active member in their community. Founded in 2008, TITLE Boxing Club started franchising in 2009 and has since exploded domestically and embarked on its international expansion this year. The development model aims to aid in the brand’s domestic expansion plans to open more than 50 clubs in 2019. TITLE is also anticipating major development globally, specifically in Mexico, Canada, Panama, Columbia, Dominican Republic, Australia, Japan, Brazil, South Africa, Columbia, Peru, Chile, Dubai and China. TITLE Boxing Club, a Franworth company, is a boutique fitness studio that specializes in boxing and kickboxing fitness classes. Based in Kansas City, the company has more than 190 clubs open and operating across the country and another 150 in development. The brand is currently ranked on Entrepreneur magazine’s prestigious Franchise 500 list and the Inc. 5000 list of American’s fastest-growing, privately-held companies. In addition, TITLE Boxing Club is No. 387 on Franchise Times Top 200 (Plus 300) list. To learn more about the fitness franchise opportunity, visit https://titleboxingclub.com/own-a-franchise/. ATLANTA — Challenge Island®, the #1 STEM / STEAM franchise in Entrepreneur 2019 Franchise 500®, was recently ranked in Entrepreneur‘s Fastest-Growing Franchises list. This highly competitive list recognizes the 150 companies with the greatest franchise unit growth in North America. Entrepreneur’s 2019 Fastest-Growing Franchises ranking is based on each company’s net franchise-unit growth in the U.S. and Canada from July 31, 2017 to July 31, 2018. Challenge Island’s position on the ranking demonstrates the brand’s rising popularity with both franchisees and customers. To view Challenge Island in the full ranking, visit entrepreneur.com/franchises/fastestgrowing. Results can also be seen in the March issue of Entrepreneur, available now on newsstands. 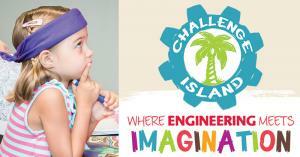 Challenge Island® is a home-based/mobile children’s educational enrichment franchise. Franchisees run STEM / STEAM afterschool enrichment classes, in-school field trips, camps, Girl Scout and Boy Scout badge workshops, as well as Challenge Island Junior™ and Challenge Island Senior™ programming in preschools and senior living communities. KNOXVILLE, Tenn. — AtWork Group has been recognized as a top franchise opportunity by Franchise Gator for 2019. Claiming a spot on the directory’s Top 100 Franchises of 2019, this marks AtWork Group’s fourth consecutive year on the esteemed list. Announcing this list annually to help potential franchise owners identify opportunities, Franchise Gator’s Top 100 ranking measures the quality of a franchise system over time. Rankings are mostly based on a formula created from various pieces of the Franchise Disclosure Document (FDD) that focus on financial stability, growth, transparency, engagement, continuity and sustainability. AtWork Group is a national staffing franchise that provides temporary, temp-to-hire and direct-hire services for companies across a variety of industries. The company facilitated 50,000 hires in 2018 through three distinct service lines: AtWork Personnel – which focuses on administrative and light industrial jobs, AtWork Medical – which specializes in medical, home health care and senior care professionals, and AtWork Search – an executive recruitment service that specializes in management-level professionals across a variety of industries. Always striving to be “AtWork for You,” the staffing franchise differentiates itself with its focus on service and family-style environment. AtWork Group was recently ranked in: Entrepreneur Magazine’s Franchise 500®, Franchise Times’ Fast & Serious, Franchise Times‘ Top 200+ and Inc. Magazine’s Inc. 5000. For more information about franchise opportunities, please visit atworkfranchise.com. AtWork Group is an industry leading staffing franchise, based in Knoxville, Tennessee. Providing temporary, temp-to-hire and direct-hire services across industries, AtWork specializes in three lines of service – AtWork Personnel, AtWork Medical and AtWork Search. There are 75 locations across 27 states, with the goal to reach 325 by 2029. AtWork franchisees execute region-based decisions that make a difference in their local economies to strengthen their communities. The company facilitated 50,000 hires last year. For more information about franchise opportunities, visit www.AtWorkfranchise.com. ARCADIA, Calif. — Blo Blow Dry Bar, North America’s original blow dry bar and the world’s largest blow dry bar franchise, announced today the opening of its newest bar in Arcadia, California, marking the third Blo Blow Dry Bar in greater Los Angeles. Located at 316 E Huntington Dr., Blo Arcadia will kick off its grand opening on April 12th with a ribbon–cutting ceremony accompanied by treats, beverages and $35 blow out specials lasting through the grand opening weekend. Blo Arcadia is owned and operated by first-time franchisee, Helen Lin. With a dual bachelor’s degree in economics and psychology and a master’s degree in international business, Helen’s hardworking nature led her to a successful career in real estate development. But her entrepreneurial spirit ignited a desire to own her own business – one that would fill a need in her hometown of Arcadia. As a working woman whose career took up much of her time, Helen was attracted to Blo Blow Dry Bar, as the concept provides a practical and enjoyable experience that can fit into a busy schedule. Coupled with the desire to empower women by making them look and feel good, all while saving them the time and stress of styling their own hair and makeup, Helen made the decision to become a franchisee and open her own location in Arcadia. Over the past few years, an array of beauty and personal care brands have established a strong presence across California in an effort to meet the needs of the wellness-oriented consumer. 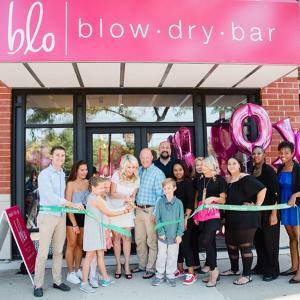 With a demand for more retailers that promote a balanced lifestyle, Blo Blow Dry Bar’s presence in Arcadia will positively impact the community and encourage residents in the area to prioritize self-care. Recognized as America’s original blow dry bar, Blo Blow Dry Bar believes in creating an inclusive space where people of all ages, ethnicities and orientations can feel welcomed, represented and gorgeous. Combining a chic and modern design with a fun and lively environment, Blo creates a seamless and enjoyable experience for guests from start to finish. Expertly trained bloers are available for consultation seven days a week to meet the needs of all customers. Blo’s hair menu includes seven signature styles to choose from, ranging from a sleek ponytail to flirty and bouncy curls. Blo Arcadia is open from dawn to dusk seven days a week. Walk-ins are accepted and online reservations are available at blomedry.com/Arcadia or via the app (available for IOS or Android). Appointments can also be made by calling 626-538-4037. To stay up to date on the latest news and promotions, follow Blo Arcadia on Facebook (@BloBlowDryBarArcadia) and Instagram (@blo_arcadia). For more information on Blo Blow Dry Bar, visit www.blomedry.com. Blo Blow Dry Bar is North America’s original blow dry bar and the world’s largest blow dry bar franchise. The company transformed beauty norms and reinvented the salon industry when it launched the “no cuts, no color” concept: only blow outs. Since opening its first location in Canada in 2007, Blo has grown to over 130 locations across the U.S., Canada and the Philippines and continues to expand rapidly. With a mission to enhance the lives of those in the community through the power of flawless blow outs and beauty services, Blo Blow Dry Bar offers perfectly styled hair and exceptional customer experiences seven days a week. For more information, visit www.blomedry.com. ROSEVILLE, Calif. — Always Best Care Senior Services, one of the leading senior care franchise systems in the United States, announced today that it has opened its newest franchise in Broward County. The new agency is owned and operated by first-time franchisees Zamira and Mario Froio, and marks the company’s third location in the state of Florida. For additional information on services available through Always Best Care of Sunrise and Pompano Beach visit ABCSunrise-Pompano.com. 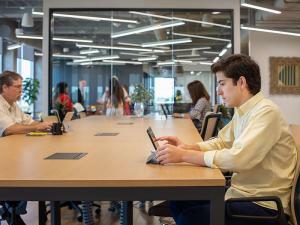 WEST PALM BEACH, Fla. — As 21,306 coworking spaces are projected to open by the end of 2019, Venture X® is emerging as a top-tier player by filling an obvious gap in the exploding shared workspace category – the middle ground between millennial playgrounds and stiff suit-and-tie work environments. Starting off as simple shared office spaces in the 2000s, coworking has since evolved to spacious facilities equipped with ping pong tables and beers on tap, or, on the contrary, exclusive and elitist communities focused on networking. Positioned perfectly between the two, Venture X is focused on ‘coworking 3.0’ – providing smart, professional office spaces with a modern design aesthetic and boutique concierge-style services, allowing entrepreneurs and businesses the flexibility to grow in a diverse, engaged community. The approach is working. Venture X’s membership-based model has seen rapid growth since its start in 2012, moving even faster in recent years through the power of franchising. With more than 60 signed locations in 18 countries, and a goal to open 21 locations by the end of Q1 2019 alone, Venture X is primed for industry dominance both internationally and domestically. Backed by the powerhouse United Franchise Group, a group of affiliated, award winning franchise companies and brands, Venture X has the support needed to grow exponentially in the coming years. Anderson, an Air Force veteran whose impressive resume includes key positions at Premier Property Management Group and Chief Technology Officer at United Franchise Group, and being named on Forbes 30 under 30 list, said Venture X has set a goal to have 100 locations open by the end of 2022. The brand already has a strong presence domestically in Texas and is growing its footprint with new locations in Florida and Colorado, as well as internationally in Canada, Europe and across the Middle East. Venture X facilities consist of modern boutique office spaces designed by world-renowned architecture firm, Gensler and features high-end Herman Miller furnishings. Venture X franchisees enjoy the leisure of having all design plans and furniture taken care of, minimizing additional stress and responsibility. In a strategic alliance with essensys, a market-leader in mission-critical software for coworking spaces, Venture X franchisees can leverage comprehensive capabilities that help to onboard and manage customers, maximize occupancy, automate revenue, streamline operations and more. With essensys technology, franchisees experience further ease and support in minimalizing their workload, lowering staff costs, and delivering an excellent customer experience. Many Venture X franchisees come from backgrounds in real estate, landlords, hotels or the financial sector. Currently the franchisor is seeking single-unit operators, with multi-unit development offered in the future. The brand’s initial franchise fee is $79,500, with a total investment cost ranging from $900–$2.5M. Venture X is a membership-based, shared workspace and community that is a blend of boutique hotel and modern office styles with a high level of design that feels professional and welcoming. We are designing beautiful spaces and developing an environment and community that people love coming to work to every day. Venture X is a member of United Franchise Group, a group of affiliated companies and brands, and has been recognized by Inc. as one of the best co-working spaces in the United States. The brand anticipates having 100 locations sold by the end of 2019. For more information about locations visit www.VentureX.com and for information about franchise opportunities visit www.venturexfranchise.com. Led by Founder and CEO Ray Titus, United Franchise Group is home to a variety of internationally recognized brands including Signarama, Fully Promoted, Experimax, Jon Smith Subs, SuperGreen Solutions, Transworld Business Advisors, Accurate Franchising, Venture X, and the Great Greek Mediterranean Grill. With over three decades in the franchising industry and more than 1,600 franchisees throughout the world, United Franchise Group offers unprecedented leadership and solid business opportunities for entrepreneurs. Gensler and Herman Miller are suppliers. They are not affiliates of Venture X Franchising, LLC. 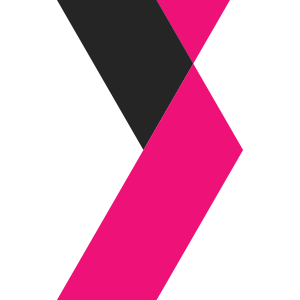 References to Gensler and Herman Miller are not intended to imply either company endorses Venture X Franchising, LLC. This advertisement is not an offer to sell a franchise. Any offer to sell this franchise will be made by a Franchise Disclosure Document and only the following registration by Venture X Franchising, LLC in any state requiring registration prior to sale. COEUR D’ALENE, Idaho — FirstLight Home Care, an award-winning provider of non-medical home care, announced today it will open a new location in the Coeur d’Alene area in 2019. The office will be owned and operated by local entrepreneurs Matt Zastrow and Brad Leggat and will be the first in the state. The new FirstLight Home Care will serve the greater Coeur d’Alene area, including Spokane Valley, Hayden, Rathdrum, and Post Falls. Qualified caregivers — home health aides and CNAs — interested in FirstLight career opportunities are encouraged to email mzastrow@firstlighthomecare.com. FirstLight serves seniors, adults with disabilities, new mothers, veterans, those recovering from surgery and other adults in need of assistance. Their caregivers help with many needs – from personal hygiene and household duties, such as cooking, cleaning and running errands, to mobility assistance and dementia care. FirstLight Home Care is a top rated non-medical home care provider with a network of offices that provides 120,000 hours per week in care for more than 5,000 clients in 34 states. The company has created a new standard in home care by combining best practices with innovative approaches to make them an emerging market leader in a rapidly-growing industry. 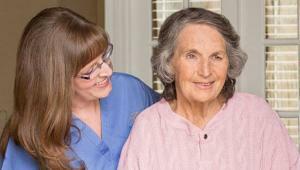 Companion and personal care services can be provided at private residences, assisted living and retirement communities, nursing homes, adult-family homes or group homes. Clients include seniors, new mothers, individuals recovering from surgery, adults with disabilities and anyone who might just need a little extra care or assistance. Visit www.firstlighthomecare.com to learn more.